There’s no better way to impress your dinner guests than with a handcrafted mission dining table. A new mission dining table will complement your current dining room décor and serve as an eye-catching centerpiece in your dining room. This style dates back to the 19th century but remains popular in homes today because of the simple yet elegant style. Mission style tables feature sturdy slats and stable legs. Although mission furniture is often made from oak, it comes in a variety of other wood types, as well. The straight lines of this furniture style are known for highlighting the natural grains in the wood. Plus, mission furniture is so durable you can pass it down from generation to generation. We understand you spend a significant amount of time gathering around your table with family and friends, and we want you to have the dining table of your dreams. That’s why we allow you to customize your dining table online easily. Our mission dining tables come in a variety shapes, sizes and colors. We have double pedestal, leg, pub, single base and trestle tables options. You can also choose from high-quality wood types like cherry, oak and maple and get the color you want by choosing from our selection of light and dark-colored stains. Some of our tables even feature leaves so you can extend your table for large gatherings. If you’re looking to redesign your entire dining room, we have a solution for you. We offer complete dining room sets that include tables, chairs, hutches and sideboards. Our dining room furniture is also available to purchase individually if you’d rather create your own unique dining room look. Custom dining chairs or benches are a great addition to our mission dining tables. 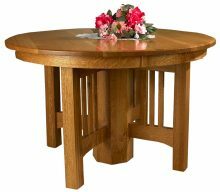 At AmishOutletStore.com, our tables are handcrafted by highly skilled Amish crafters who use their years of experience and high-quality, solid wood in every piece to ensure durability and unmatched beauty. 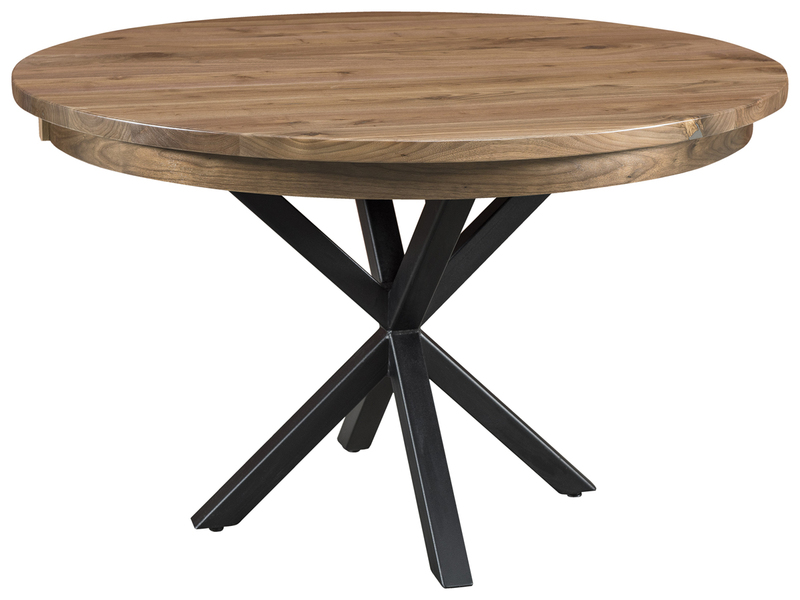 Save up to 33% off retail price when you purchase a new dining table. Don’t wait to get the perfect table for your dining room. Order a beautifully designed mission dining room table and start enjoying the time you spend in the dining room today!